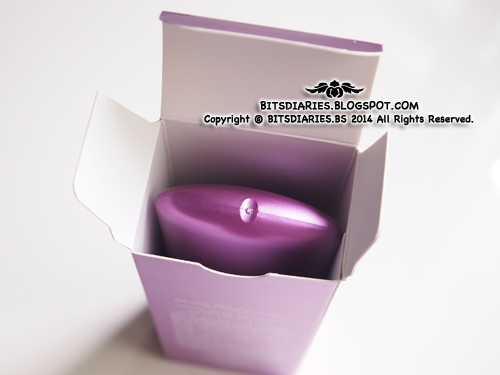 The tube of BB Cream is packed in a matte metallic purple rectangular paper box. The tube itself is made with different shades of purple. 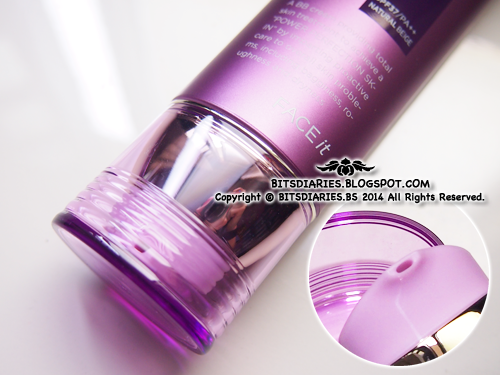 It has a matte metallic purple plastic body with a light purple plastic pump and a transparent purple plastic cap. The BB Cream has a light-medium creamy texture, which is very easy to smooth out and blend into the skin. It comes in two shades — 01 Light Beige and 02 Natural Beige. As you probably know Koreans have really fair skin tones so 01 Light Beige would be too light for me. Therefore, I got it in 02 Natural Beige. I think it matches my skin tone better. It has a grey-ish pinkish beige undertone despite that, it does not leave a grey cast on me. It oxidizes to my skin tone perfectly. The coverage strength is excellent in my view. Though it does not 100% fully cover the light brown-ish post acne marks and redness of the zits, it does kind of lighten the appearance of the marks and the zits' redness. If I have to give a rating on the coverage, then it would be around high average range. FYI, I do still need a concealer to give a boost in coverage but nowadays, besides the dark circles, I don't really put on concealer on the blemishes. Despite not using concealer on the blemishes, no one commented on them or pointed them out so I think the coverage is excellent. The following pictures would probably give you an idea on the coverage strength of this BB Cream. 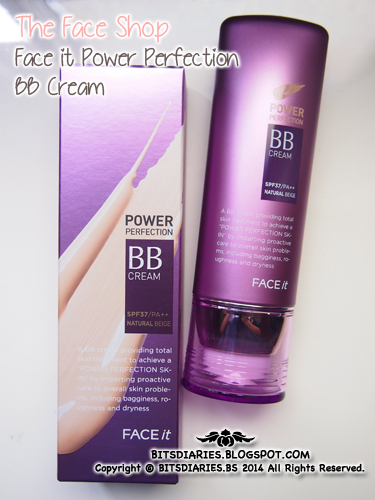 You can compare the pictures BEFORE and AFTER the application of The Face Shop Face It Power Perfection BB cream. 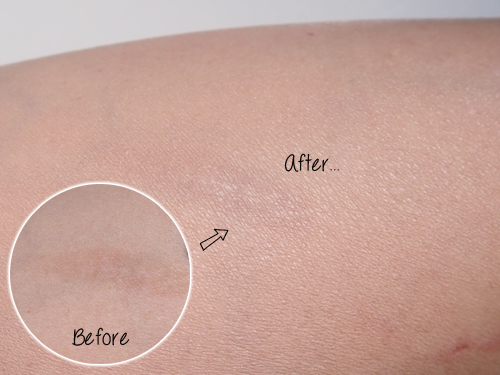 — With the application of BB cream (After), the appearance of the scar has lightened and covered up to 80-85% of it. I guess with the application of concealer, the scar would probably be hidden perfectly~ lol. As you know, I live in hot and humid country so I get shine on my face very easily. With that said, I really can't tell whether it's the BB cream or the weather that causes the oiliness on my face. I would conclude that both the BB Cream and the weather play a part on the cause of the shine~ As for the oil-control ability, I can't tell either...but I don't think it provides any helps on oil control. Anyway, it's not an issue to me. 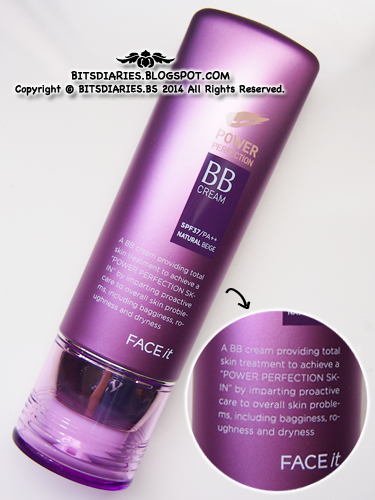 Verdict: I usually apply 1 or 2 thin layers of this Power Perfection BB Cream with hands using gentle patting motion. It gives me a natural look(dewy, semi matte) with high average coverage that lasts pretty long, without being too heavy or drying out my skin. Also, it does not cause any breakouts on me. It claims to whiten skin but I'm not sure about that. I think it brightens up the skin rather than whitening. As for wrinkle claims, I can't comment much cause I don't have any wrinkles at the moment. On the downside, it does accentuate on dry, flaky skin but don't get me wrong! This BB Cream suits all skin types including dry skin. BUT IF you get flakiness on your face very often, I would advise to solve the flakiness problem first prior applying this BB Cream. Hmm..., well, I don't think there is any BB Cream that won't accentuate the appearance of flakiness (correct me if I'm wrong...). On the other hand, this BB Cream does also emphasis on pores. Hence, if you care about the appearance of pores, it would be better if you use a pore cover primer beforehand.